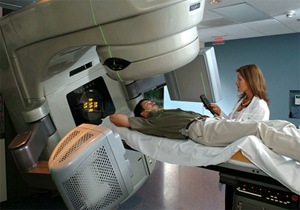 Nationally certified radiation therapists provide advanced radiation planning and treatments through customized radiation techniques on state-of-the-art equipment. Our radiation physics department has nationally board-certified Physicists and Medical Dosimetrist who routinely consult with the Radiation Oncologists to ensure accuracy, safety, and advanced technical considerations for all radiation treatments. Art is from Fruitland, Idaho, and currently lives in Boise. He received his Radiology Technology Degree at Boise State University in 1994, and Radiation Therapy training at Weber State University in Ogden, Utah. Art has been working in the medical field for nearly 30 years, from phlebotomist, X-ray technologist, to CAT Scan Manager, and finally Radiation Therapist. He is nationally registered as a Radiologic Technologist, Computerized Tomography Technologist, and Radiation Therapist. Cheryle is a Meridian High School graduate. She received her Bachelor of Science Degree in Radiologic Technology, from Boise State University in 1990. In 1994 she then went on to specialize in Radiation Therapy at Mountain States Tumor Institute (MSTI) in Boise. She worked as a Radiation Therapist in Yakima and Seattle, Washington, before returning to Idaho in 1999. She is a nationally registered Radiation Therapist. Matt is from Stockton, California. He received his Radiologic Technologist degree at PIMA Medical Institute in Seattle, Washington, in 2006. He then went on to specialize in Radiation Therapy at Weber State University in Ogden, Utah, 2009. He has been on staff at Idaho Urologic Institute since 2015. Matt is a nationally registered Radiation Therapist and Radiologic Technologist.